Winter in Toronto can be cold and dreary, but Olivia and Benson’s wedding was anything but that. 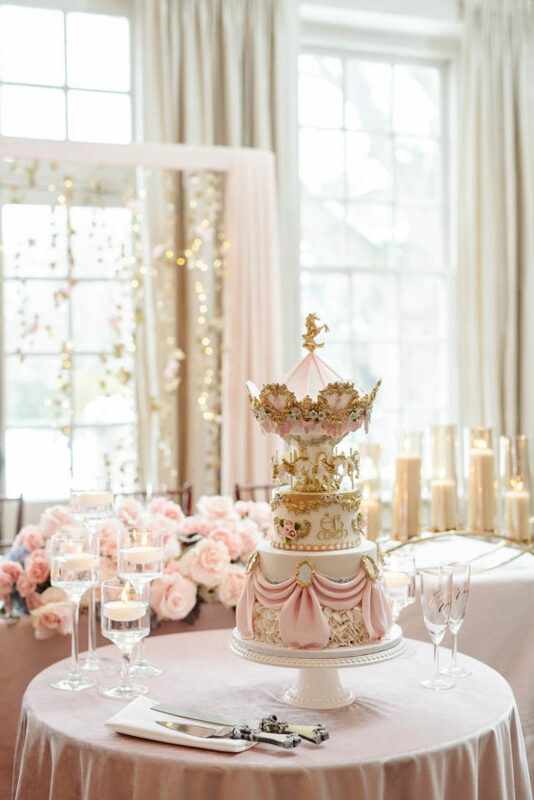 Their main inspiration for their pastel fairytale wedding was a carousel. Everything from the horse-drawn carriage to the gift table reflected this. 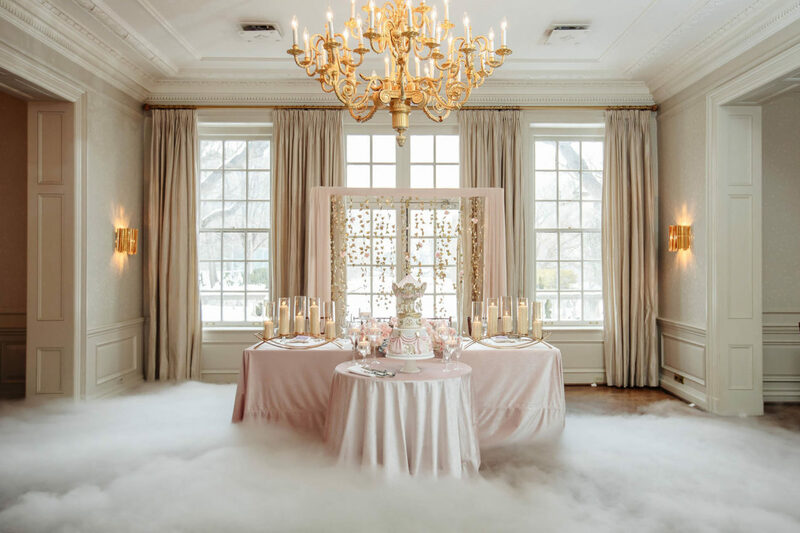 This whimsical wedding was fit for a princess, which is exactly what the beautiful bride Olivia looked like. Olivia wore a beautiful down with a fluffy long train. The tiara she wore was the perfect touch. 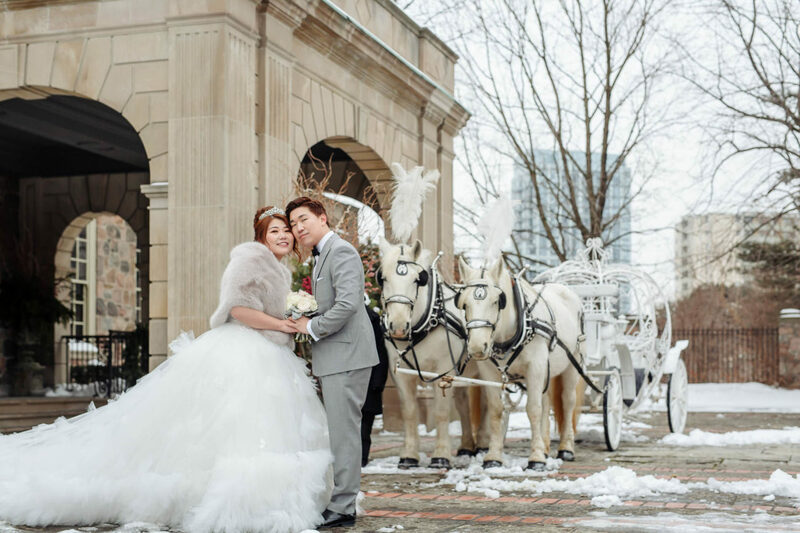 She arrived at the venue on a horse-drawn carriage, right out of a Cinderella’s story. To keep warm from Toronto’s wintery chill, she topped the gown with a fur shawl. The groom, Benson’s light grey tux was the perfect compliment to the wedding dress. Graydon Hall Manor is one of Toronto’s top wedding venue locations. The stone manor features tons of beautiful architecture. The hall where Olivia and Benson held their inimate wedding played perfectly into their theme. 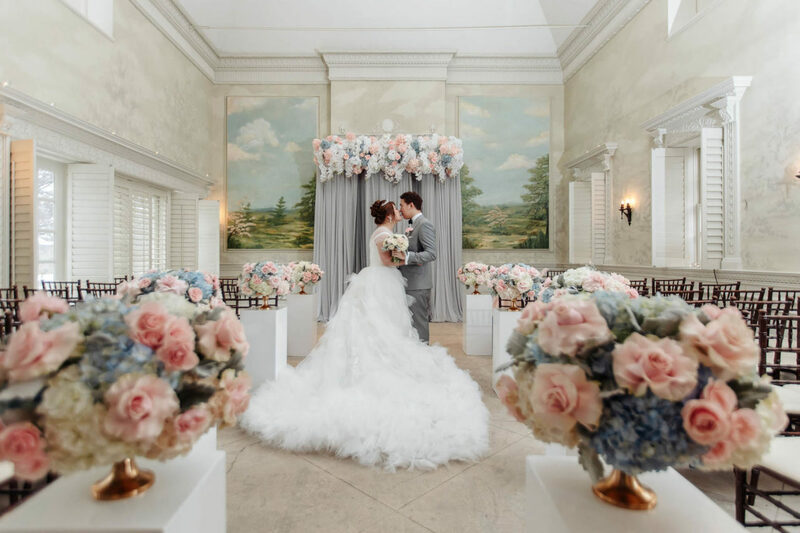 The stunning painted murals were the perfect backdrop to their airy wedding. Pastels might not seem like an obvious color palette for a winter wedding, but the light colors played wonderfully with the snowy grounds. The light blues, pinks, and purples popped against the mainly white room. With elegant touches of gold, such as the gold leaves behind the head table, the room looked stunning. The couple made sure to include small elements that played into their theme. 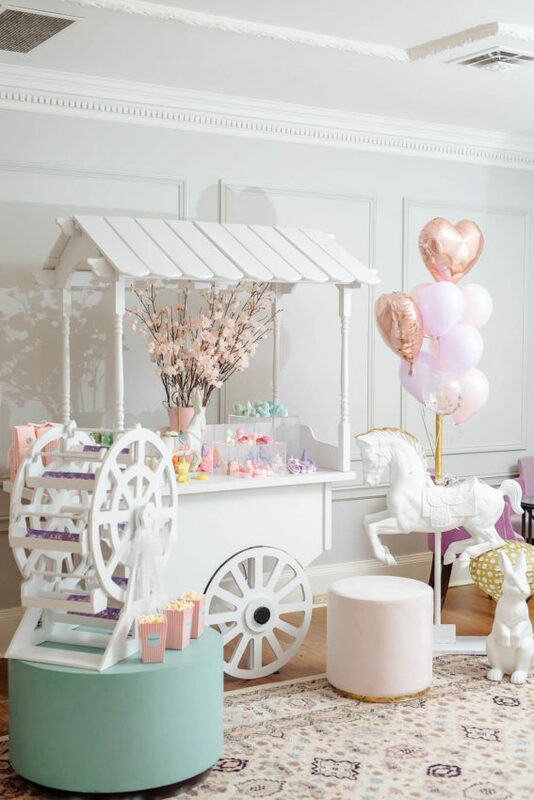 The guests’ gift table was set up on a white carnival cart, allowing the pastel candles to pop. The little popcorn holders were the perfect snack for a carnival themed wedding as well. The couple even included a miniature Ferris wheel and carousel horse! The real show stopped at Olivia and Benson’s wedding was the cake. Our wedding photographers have seen a lot of beautiful and delicious wedding cakes, but this is one of our favorites. It was a perfect replicate of a toy carousel, complete with the gold detail and horses. It was nearly too pretty to eat! Our Toronto wedding photographers had an amazing time photographing this whimsical, pastel wedding. This is a perfect example of a themed wedding done right. Be sure to check out more photos of this wedding and contact us to book us to photograph your Toronto wedding!